I needed to do another trial with my almost full fuse. 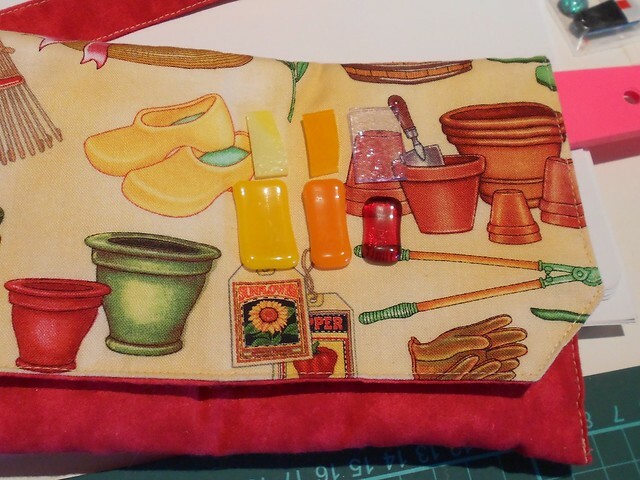 I made a cute wallet that needed a button and zipper pull so I tried to match up the colours in the fabric using the glass that I had. Even though the striker pink seems to match the red colour in the wallet I had a couple of other buttons with that pink and it didn't quite match. The only colours that came close were the yellow and orange. I so want to buy some more colours. 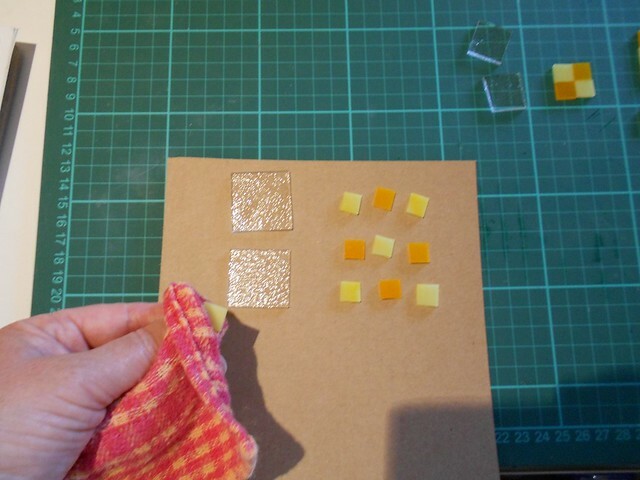 I am making up sample pieces for each colour. I do love the way the yellow and orange look when fused. They are both opalescent and I put them on plain clear. I clean each piece and lay it on a cardboard tray. 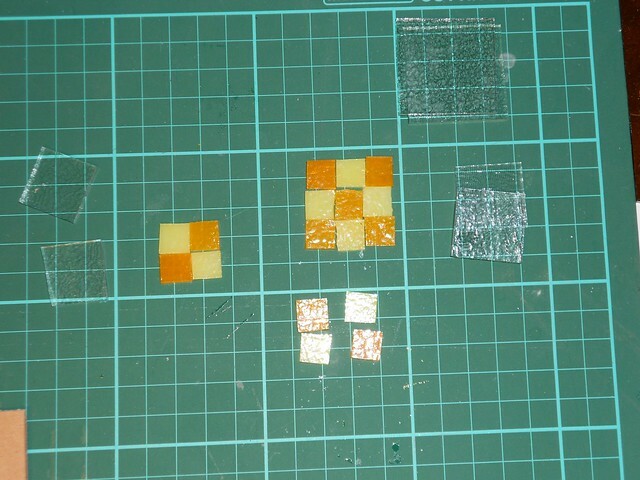 The glue the pieces to the base with Hotline warm glass adhesive. 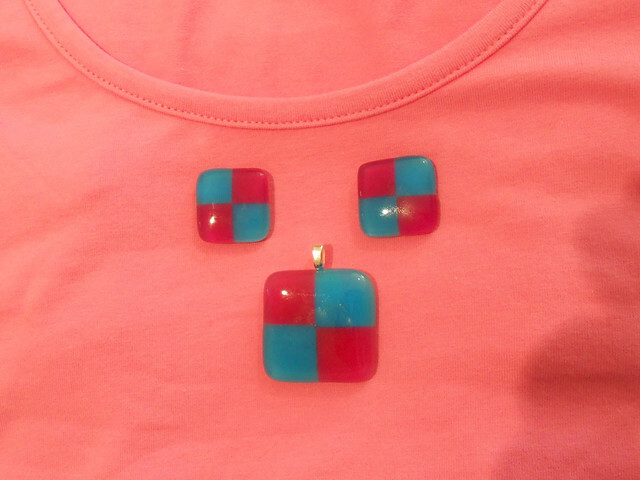 I also had the urge to make a pendant and earrings to go with my new singlet top so I used my favourite blue and the striker pink, both transparent. I put them on a white base. I will finish them off and wear them to the Brisbane craft and quilt show next week. The firing schedule I used was one I used before but I think maybe it is not quite hot enough. 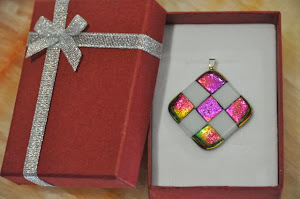 I am trying to get as square a finish as possible for my quilt block items. Maybe I will just have to embrace the soft edge look. 780 and hold for 10 mins was not enough to make the layers meld together at the edges so it spoils the line of the pendant on the clear backing. The one on the white backing seemed fine. Bulleye blue T 1116 and striker pink T 1215 need yellow or green to set them off.